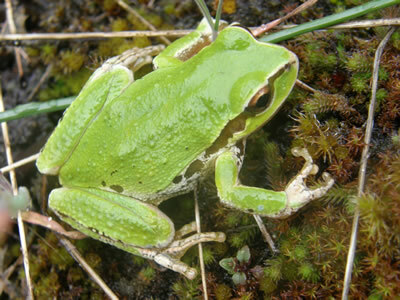 Welcome to the summer's issue of the Dereila Nature Inn newsletter. 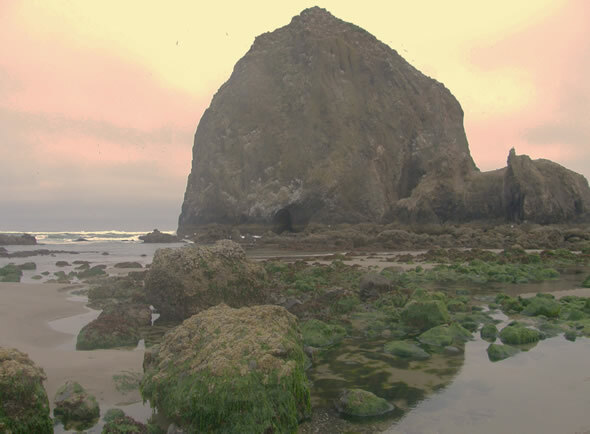 Sunrise and low tides on the Oregon coast welcome you to this month's newsletter. Hello once again everyone and welcome to Whispers, the newsletter of the Dereila Nature Inn - your cyber nature centre where we celebrate nature and photography. We hope that you're enjoying the summer and have some opportunities to explore, relax and appreciate nature wherever you may be. Than you for subscribing to our newsletter and being part of this project. Which North American mammal has a blue tongue? 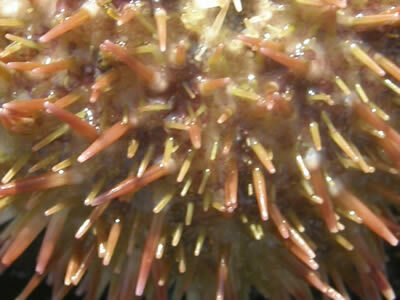 Do you know what this mysterious close-up could possibly be? You'll find the answer at the end of the newsletter. Here are the latest features at the Inn we hope you'll enjoy. Clicking on the images will take you straight to the page. Big Bend is an amazing gem of a park and the latest in our series of Special Places in the Natural World. We've spent a lot of time recently down at the shore line and exploring tidal pools and have been able to expand our Marine Life Guide. Find latest additions on the news page. We invite you to submit nature photographs to this part of our newsletter. 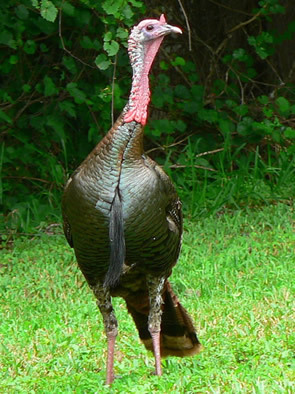 super shot of a Wild Turkey she bumped in to. 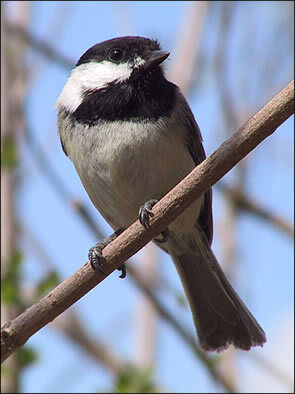 close-up of a Black-capped Chickadee. 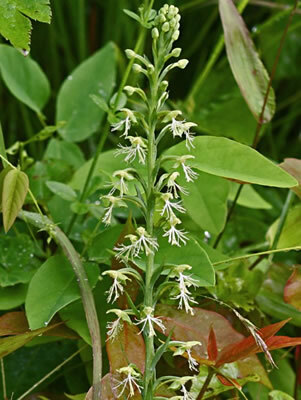 we have this beautiful photograph of Ragged-fringed Orchids. A huge thank-you everyone for taking the time and sending in your pictures! Here are this month's choices: Insect - Wasp Beetle; Wildflower - Gold Stars; Bird - Northwestern Crow. This month we feature what appears to be an interesting abstract-looking piece of "art." 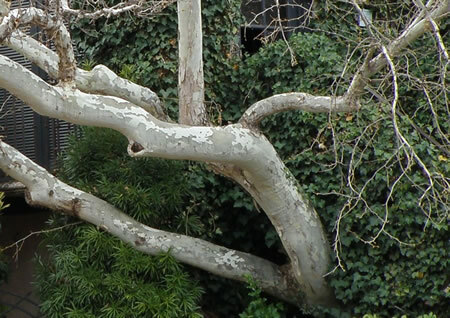 This fascinating bark was spotted in Sedona, Arizona. 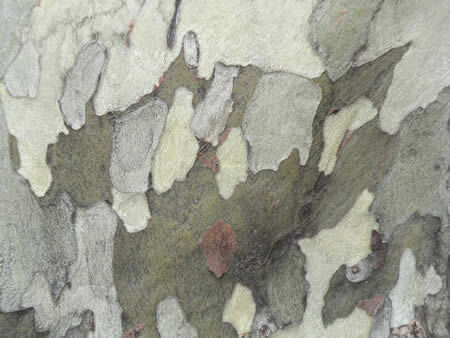 The bark of the Arizona Sycamore is flaky with blotches of green, gray and brown. It's another example of some of the beautiful designs and patterns found in nature. 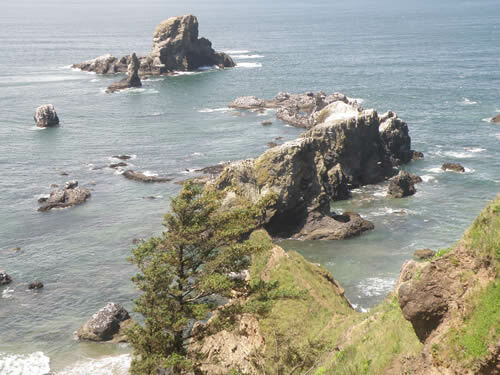 Ecola State Park in Oregon is a few miles north of Cannon Beach. There are exquisite views and access points to the marvellous beaches. 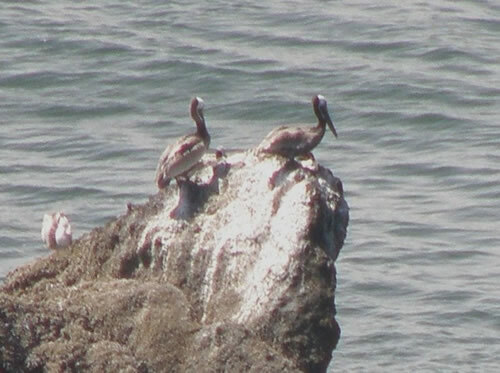 such as these pelicans, the is a nature lover's paradise. 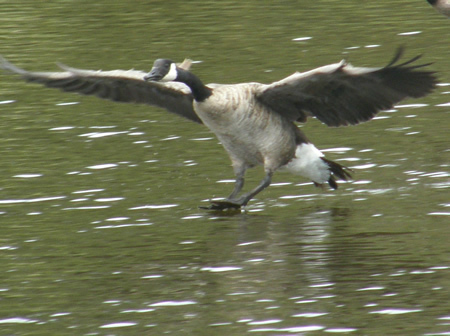 Do you have a humourous caption to go with this photo of a Canada Goose coming in to land? We've given you a couple of suggestions. Number one: "Out of the way! Out of the Way! Move it!" Number two: "I"m coming in! Ouch! Ouch! Ouch!" 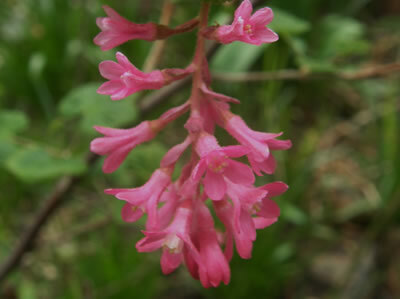 Red-flowering Currant, Ribes sanguineum, is a member of the gooseberry and currant group of shrubs. 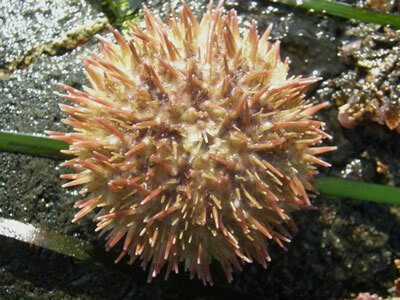 The flowers vary from pink to deep red, as the common name suggests. The species name, sanguineum, means "bloody," a reference to the colours of the flowers rather than anything violent. 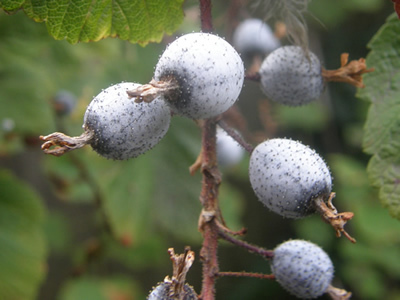 Eventually the red colours will disappear and blue-black fruit will be produced as shown below. Three mountains goats set off for a picnic and climbed up to a sunny alpine meadow. When they were getting ready to eat their sandwiches they realized that they had forgotten the drinks. The youngest one said, "I'll go back if you promise not to eat the sandwiches 'till I get back." The other two quickly agreed. A couple of hours went by and one of them said, "I wish he would hurry up. I'm starving!" After another two hours the other goat said, "I can't wait any longer. Let's eat the sandwiches." 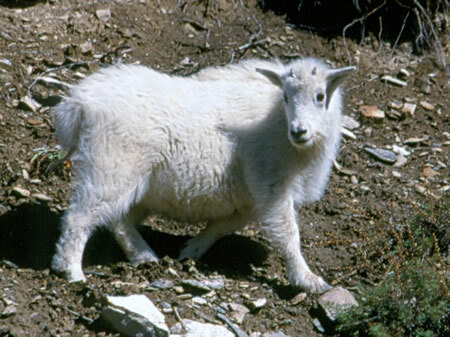 Suddenly the young goat jumped up from behind a rock and said, "If you do, I won't go!" If you're out exploring, hiking and adventuring this summer don't forget that you never know what might be around the next rock or crevice. Be sure to be aware and alert as you don't want to disturb or upset anyone. 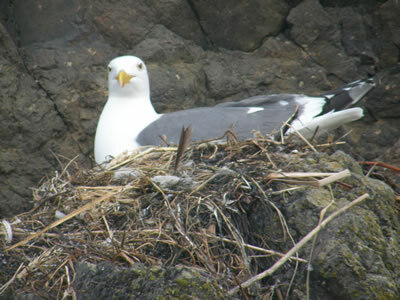 This nesting seagull didn't seem too concerned, but other birds might be quite put out! Although hummingbirds are most often spotted darting and hovering about, they actually spend a lot of time at rest. 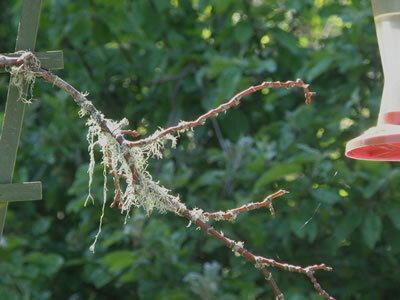 If you have a hummingbird feeder you might want to attach a twig or small branch close by. The twig will provide a welcome perch and resting spot for the hummer. 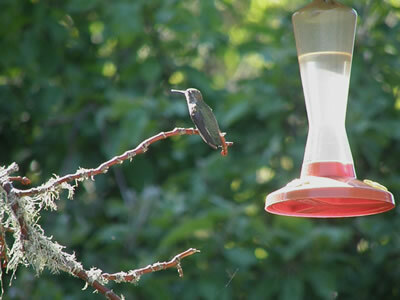 Here an Anna's Hummingbird, Calypte anna, rests for a moment between drinks and gives us a chance to snap a picture. state amphibian of both Louisiana and Georgia? Which mammal has a blue tongue? 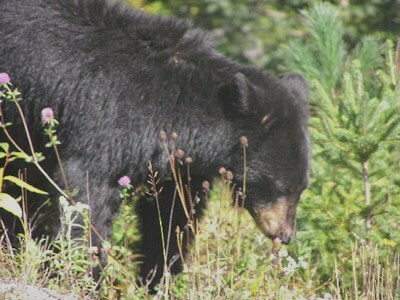 The Black Bear. Until next time, best wishes from your friends at the Dereila Nature Inn - the Cyber Nature Centre for Nature Lovers. We'll be taking a bit of a break over the next few weeks as we try and get out and enjoy as much of nature as we can so watch for the next issue of Whispers in your inbox during the first week of September. Have a wonderful, nature-filled summer!